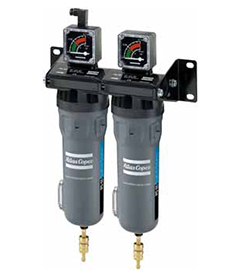 Atlas Copco is very highly respected as a leading name in the Compressed Air Market. 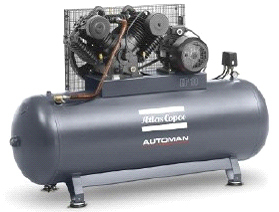 A Swedish industrial company that was founded in 1873, Atlas Copco is the world’s leading producer of air compressors and also develop and manufacture industrial tools. 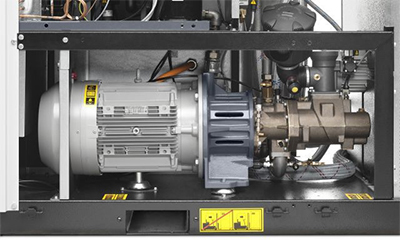 Atlas Copco analysed the market in Victoria and approached AIR ENERGY to become a distributor of the Atlas Copco range due to Air Energy’s reputation as a market leader in providing turnkey industrial fit outs. The team at Air Energy strive to provide the best information and products matched to the clients needs. Atlas Copco’s vision is to become and remain First in Mind—First in Choice® of its customers and other key stakeholders. This synched exactly with Air Energy’s Mission Statement – Air Energy strive to be your preferred and trusted supplier of innovative and global solutions in quality, industrial pipework and equipment. Call (03) 9765 5600 for help on selecting the best product for your needs. 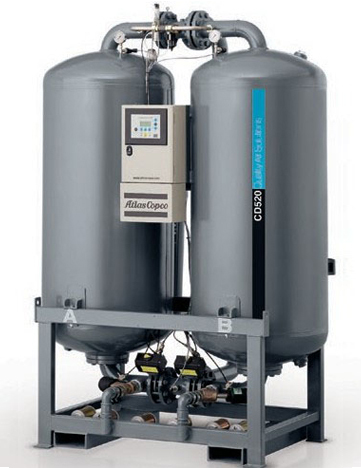 With over 100 years at the forefront of compressed air, the Atlas Copco range offer the finest quality and eficiency. 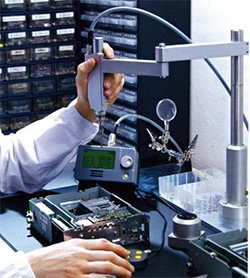 They are engineered to ensure the highest level of reliability and efficiency. 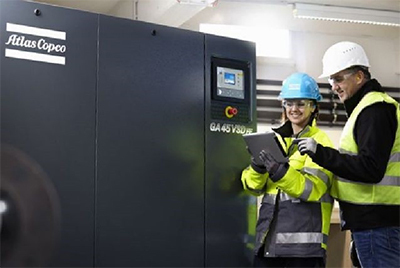 Typical of the Atlas Copco product range is their biggest selling GA VSD+ range which brings a game−changing innovation to the general industry. 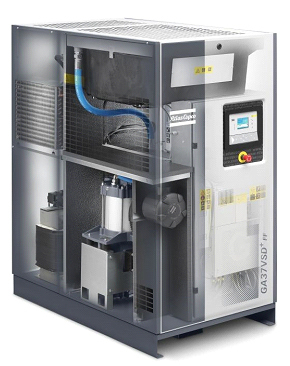 The GA 7−37 VSD+ variable speed drive air compressors reduce your energy consumption by a staggering 50% on average, compared to idling compressors. At the same time it offers improved performance, silent operation (down to 62 dB(A)) and a compact footprint, thanks to its vertical drive train design. The heart of the GA VSD+ is an interior permanent magnet motor, directly coupled to Atlas Copco’s best−in−class screw element: all of which have been in−house designed and have patents pending. All these benefits make the GA VSD+ the air compressor of the future, setting a new standard in the industry for years to come. 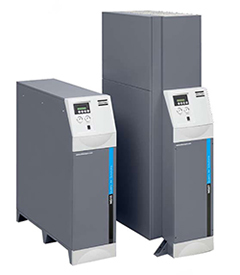 The GA VSD+ has proven its reliability during extensive field−testing. 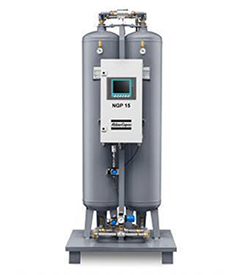 The drive train is a completely closed, oil−cooled unit that is both quiet and reliable (IP 66), even in the harshest conditions. Whatever your needs, the team at Air Energy are interested in assessing your requirements and providing the best solution in equipment selection, plant pipework design and installation. If you have your own preferred installers Air Energy are experienced in close collaboration to provide a result to satisfy your needs. 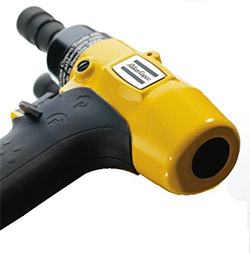 Compressed Air carries water vapour, dust and other pollutants that are harmful to equipment, processes or for breathing. Air Energy can advise and supply or install the right equipment for the level of purity you need. Airnet is Atlas Copco’s versatile, corrosion resistant, lightweight aluminium system that looks great and performs to match. Fast to install and less supports needed, very low friction losses. 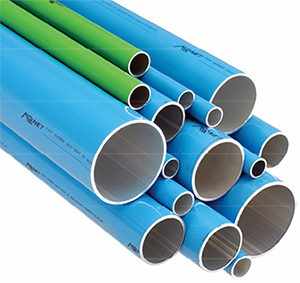 AIRNET is a premium quality pipe system suitable for compressed air, vacuum and inert gases. The aluminium pipe is coated inside for even better corrosion protection and lower friction losses. Airnet is also available in green for inert gases. 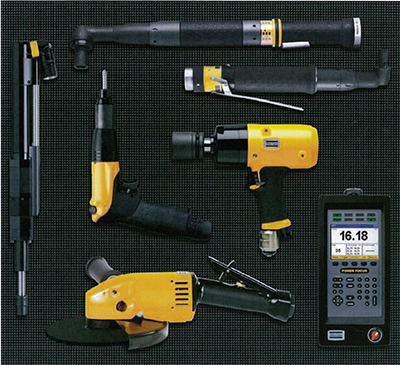 Air Energy can supply a range of tools including the premium Atlas Copco industrial tools. There are hundreds of models and variations of these tools designed for production applications where constant repeatability in performance reliability is important. 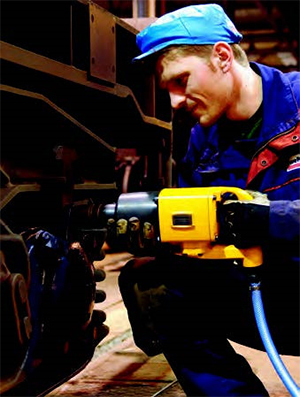 Ideal for situations where time is important from micro precision airtools or battery power tools to full−on rugged pneumatic tools for the most demanding applications.